Bhutan Tours and Travel packages to Paro, Thimpu and Punakha with lowest budget costs guarantee, takes experience of tours in Bhutan and trekking in Bhutan. Bhutan lies in the eastern Himalayas, between Tibet to the north, the Indian territories of Assam and West Bengal to the south and east, and Sikkim to the west. 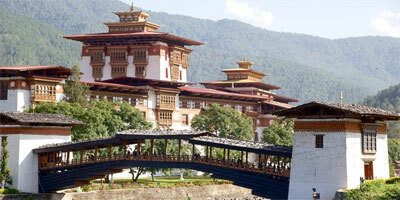 Bhutan is a tiny country having a total land area of about 47,00 square KM. Bhutan is located in the heart of the high Himalayas. Bhutan is a land-locked country like Nepal surrounded by mountains. The sparsely populated Greater Himalayas, bounded as formidable wall to the north by the Tibetan plateau, reach heights of over 7,300 meters (23,950ft. ), and extend southward sloping down to form the fertile valleys of the Lesser Himalayas divided by the Wang, Sunkosh, Trongsa and Manas Rivers. Monsoon influences promote dense forestation in this region and alpine growth at higher altitudes. The cultivated central uplands and Himalayan foothills support the majority of the population. In the south, the Duars (the gates or doors; the traditional 18 points of access into Bhutan from the Indian plain.) drop sharply away from the Himalayas into the large tracts of semi-tropical forest, savannah grassland and bamboo jungles. 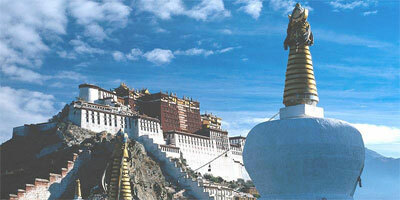 Bhutan remained a hidden Kingdom as a kingdom of choice to visit for many years. Today, it has opened its door to visitors, and a small number of people are welcomed to explore the Kingdom. Bhutan, often referred to, as the Land of Thunder Dragon, is a land where the chief state religion is Mahayana Buddhism, i.e. greater wheel. The locals are seen in their traditional costumes. 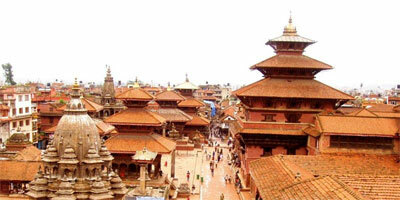 Short cultural trips of one week to Bhutan can be added on to your holiday in Nepal. Bhutan is locally known as Drukyul - the Land of Thunder Dragon. Trips in Bhutan includes visit to old forts, palaces, monasteries, farm house and National museum sightseeing of Satsam Chorten, Taktsang Monastery, Memorial Chorten, National Library, Handicrafts emporium and Tashichho Dzong, drive to Punakha, across the Dochula Pass and visit, Punaka Dzong, visit a typical farm house where traditional buttered tea with "Zaw" (puffed rice) will be served. If you need further details about Bhutan, we will be pleased to inform you at your each direct call or email. We will give you a reason to get up early. Check our programs to find out the way. Druk Air flies every Monday and Thursday from Kathmandu to Paro. The national airline of Bhutan i.e. Druk Air has operated its services to Calcutta, Delhi, Dacca and Bangkok. You may also enter/exit Bhutan by overland transportation, having a short pause in the route at Silkkim and Darjeeling (India). (Airlines schedules and prices are subject to change at short notice). Diplomats (holding passport) accredited to Bhutan shall be offered 25% discount in tour cost-minimum 2 Pax and above if required. Visitors must book their passage through one of the 80 registered tour operators in Bhutan. They can either approach the operator directly or contact their counterparts abroad. The minimum daily tariff is set by the Department of Tourism, Bhutan and cannot be negotiated (these rates can be higher, depending on the nature of services desired beyond the set entitlement). 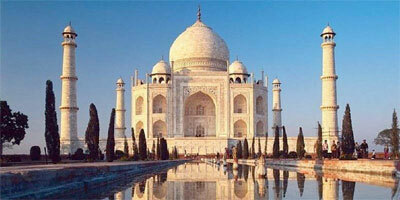 The rate is the same for both cultural tours and treks. Photography in some of the Monasteries and Djongs is not allowed. Please, don't take 16mm. film cameras with you, which are prohibited in Bhutan. We have different package tour programs to this unique land. We will give you a reason to get up early. Please, check out our programs to find out the way. A trip not to be missed in this lifetime!